my beautiful siamese mix cat (dan insists i include the word "mix" since he's a feral brooklyn cat), neil is still sick. he's had trouble peeing for about 5 days now. we took him to the animal medical center on 62nd st today since he's still peeing in the shower and they were super helpful. they said he is too stressed and that's likely what caused his FLUTD. i told neil that to alleviate some of his stress he could quit his job, stop doing his chores and stop driving us around the city. he was relieved the hear that. he feels better already. ha! when we were at the animal medical center i noticed how beautifully the cats and dogs were all interacting with each other and how kind people are with their pets. it was really remarkable to see all the love in the room. who would we be without our pets? 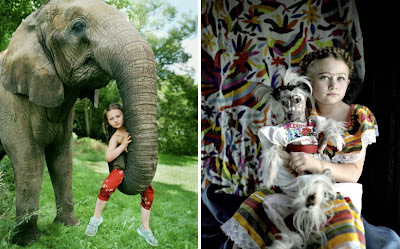 robin schwartz is a talented photographer and an animal lover. 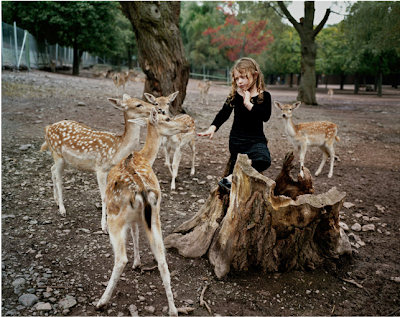 she shoots beautifully composed photos of her daughter interacting with animals. lovely!! Poor little Neil! Hope he feels better soon! 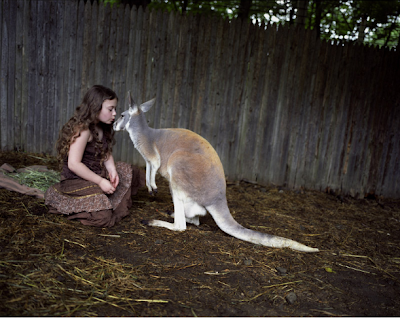 The kangaroo's coat looks like Neil's fur.